Yountville might as well be called Kellerville from a food perspective since Thomas Keller’s restaurants here clearly dominate the national headlines (and for good reason). However, Yountville is home to many other recognized chefs and restaurants including this one. Redd Wood opened in 2012, the second restaurant by chef Richard Reddington. Reddington consistently garnered Michelin stars for upscale sister restaurant Redd down the street, but this more approachable Italian spot has been just as popular if not moreso. 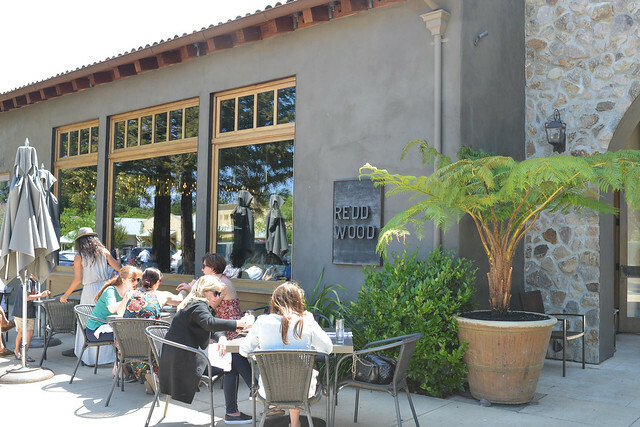 Redd Wood was the choice for a lunch in between morning and afternoon wine tastings in Napa Valley. We ordered a few items across the menu for a sampling – some salumi, one appetizer, one pizza and one pasta. 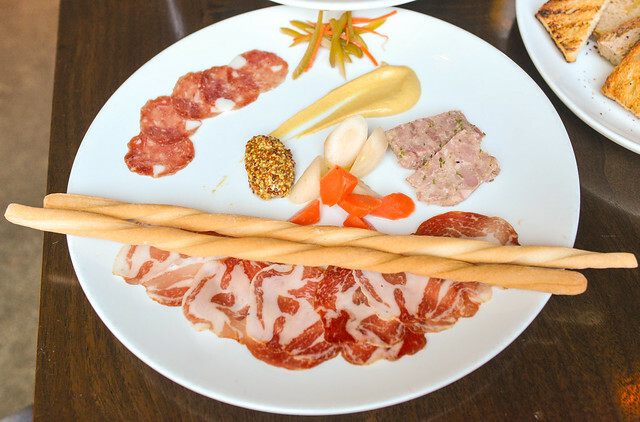 Redd Wood cures salumi in-house; here, we got a selection of three of the day’s specials. 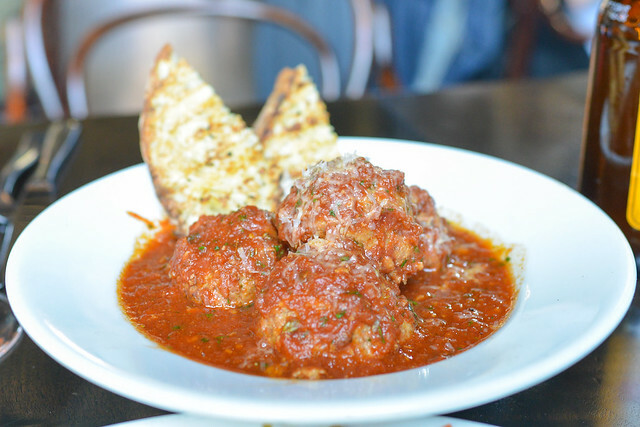 Meatballs were pretty delicious, savory and meaty with a sweet tomato sauce to go along. The pizza displayed a nice crust with plenty of sausage and some lingering heat from the calabrian chilies. 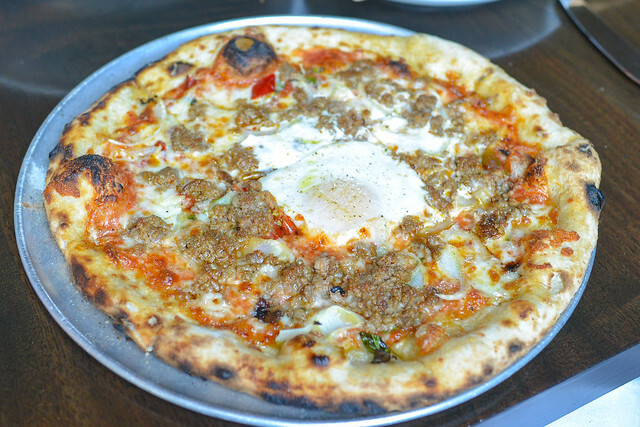 A runny egg oozed all over the pizza to create some nice bites. Our pasta had a nice firm bite, rich and hearty with plenty of meat. 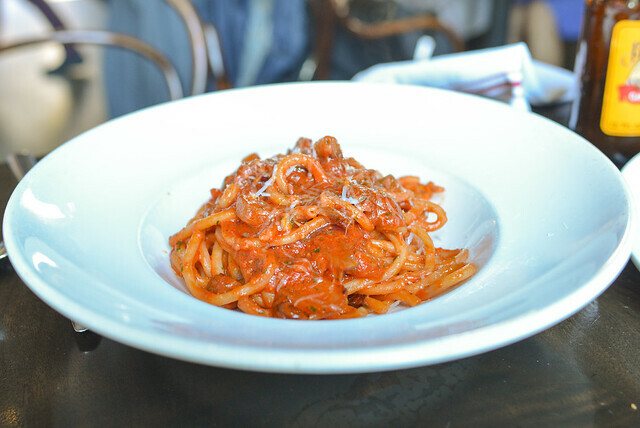 Redd Wood presented a satisfying suite of Italian dishes for lunch. Nothing really stood out though nothing disappointed; everything pretty much met expectations.